As an Ohio injury lawyer focusing on motor vehicle accidents I urge AAA to redouble its suppport of no texting and driving. Texting and driving is now said to be the number 1 cause of teen deaths. Let us not stop here. Let’s go farther . Stop all cell phone use while driving a car. After all, taking your eyes of the road to dial a cell phone is just as dangerous as texting. In 2011 AAA started a campaign against texting and driving putting up billboards and publishing a number to call while stopped to show your support for the then proposed State of Ohio no texting law. Call that number now and it is not a good number. 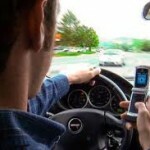 Yes, Ohio passed a no texting law. But that is not the end of the story. We must not only campaign for laws , but we must take the message to the people. To the parents, to the schools, to the kids that drive. It is behavior we are concerned about in the end. Not just making laws. Sure that helps to shape behaior, but there is much more to be done. Here is what you can do right now. It is not only teenagars that are texting and using cell phones. Even professional truck drivers are texting while driving with disastrous results. How many parents are on the phone in the car. The example being set is shameful and I’m guilty of it also . It’s time for me to stop. It’s time for all of us to stop driving and using cell phones. You want to take the challenge. Let me make it simple . Print this article off and sign the pledge at the bottom of the page. Make copies and have every driver in your family sign. I pledge not to drive and use a cell phone. Ohio has recently enacted a ban on texting while driving your car, but auto drivers should police themselves so they do not cause serious injury or death from distracted driving. Once upon a time the radio Cd player was a main culprit in a distracted driving accident. Now we know the cell phone is one of the major causes of distracted driving motor vehicle collisions. 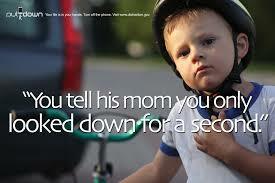 In 2011, 3,331 individuals were killed in crashes involving a distracted driver. 387,000 were injured in motor vehicle crashed involving a distracted driver. Texting creates a risk of crash 23 times more likely than a non distracted driver. 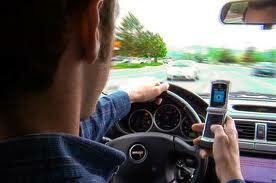 Driving while using a cell phone takes away 37% of the brain that would be vigilant on the road. Headset use is not substantially safer than hand held use. If a distracted driver causes you a serious injury you are entitled under Ohio law to compensation for pain and suffering as well as loss of enjoyment of life. Of course lost wages and medical bills need to be paid. If you are unrepresented because the insurance company said they will take care of you remember this. Their job is to take in premiums and pay out as little as possible. So their interests are directly opposed to yours. Consider hiring an experienced Columbus Ohio car accident injury lawyer. Their interest is to get you as much as possible. The contingency fee ensures that the lawyer will try to get you as much as possible since the more you get the more the contingent fee lawyer gets. Of course all lawyers are not created equal. Anthony Castelli has been helping accident injury victims recover financially for their harms for over 30 years. Read about his system of Five Fundamentals of Recovery that focuses his uncompromising advocacy on recovering every penny you deserve. Then call him today for a free case consultation.